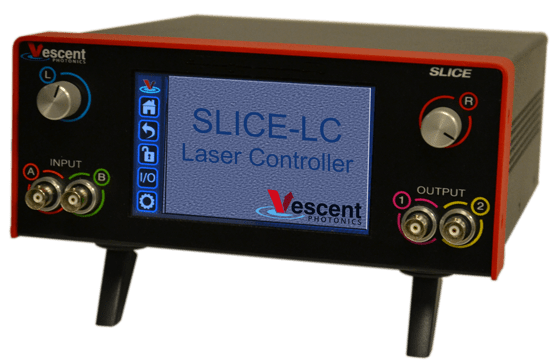 The SLICE-LC Laser Controller continues the Vescent tradition of offering the absolute lowest noise current controller. Also incorporated in the SLICE-LC is a pair of PID temperature control loops for stabilizing the laser and its housing. Proprietary new power supply technology eliminates the need for a traditional linear power supply. Heavy and expensive, fixed VAC-input power supplies are a thing of the past – even when the lowest noise is an absolute must-have.